You found just the right area rug, and you have the perfect spot at home to put it. The salesperson asks you about purchasing a pad for underneath the area rug. Do you need one, or is the salesperson just trying to “upsell” you with add-ons? The answer is: yes, you need a pad under your area rug! No matter what type of floor covering your area rug will be laid over; a rug pad is essential for several reasons. A good rug pad grips the area rug to keep it from sliding around. Even rugs that are anchored by furniture can shift, causing them to buckle and bunch up, and creating tripping hazards. A rug pad helps to keep the area rug lying flat and in one place. There are rug pads designed specifically for laying an area rug over hard surface flooring or laying a rug over wall-to-wall carpet. Like the cushion under a wall-to-wall carpet, a good rug pad helps to protect the area rug from wear and tear by absorbing the majority of the impact from foot traffic. The pad is designed to compress and bounce back (even a firm pad will do this slightly) which takes the strain off of the rug fibers. Without a pad underneath to act as a shock absorber, the area rug fibers will be crushed, and the rug will show signs of wear much sooner than it would with a proper pad. Regardless of the type of floor covering underneath your area rug, it needs to be protected. Area rug backings can sometimes be rough, which could cause scratches on hardwood or another type of hard surface floor. Other things that could pose a risk to the underlying floor include color transfer from the rug, the possibility of a small stone or other sharp object being caught underneath the rug, and abrasive wear on the surface of the underlying floor caused by the area rug shifting with foot traffic. A rug pad provides a protective barrier between the area rug and the floor underneath. Even wall-to-wall broadloom on which an area rug has been laid requires the use of a rug pad. In addition to the points listed above, there are other, non-essential reasons for using a rug pad beneath an area rug. These could include comfort, noise reduction, and insulation from a cold subfloor. Thus, the benefits of rug pads are numerous. Ensure you get the most out of your area rug by using an appropriate pad underneath it. 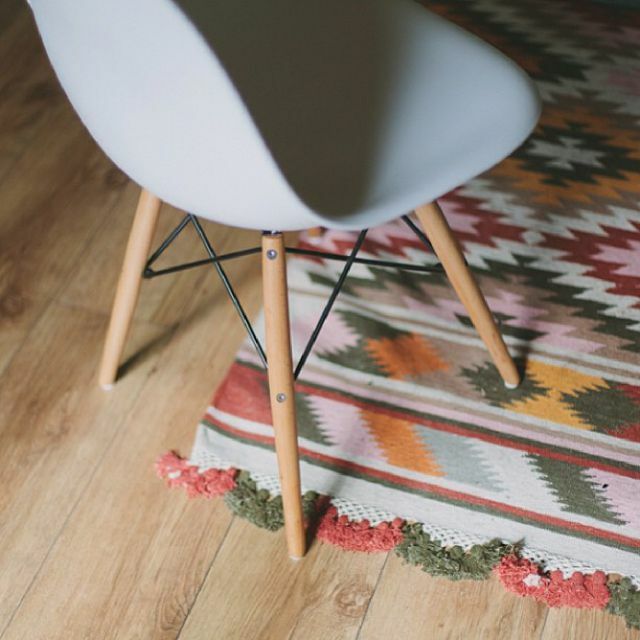 So, what type of rug pad should you use? Learn more about the best types of area rug pads.